"So, do you have a big day planned?" "Nope. I have a small day planned. As small as I can make it." So went my exchange with the hair stylist this morning. I decided to go out and get a haircut on Father's Day. It was a productive weekend. I assembled a hitch cargo carrier which I'd been reminding myself to buy every camping trip for the last 3 years when I'd stuff the SUV to the brim with crap. It's funny. The wife and I used to camp for 3 or 4 days and carry everything in two backpacks. I used to do crazy stuff like cut half the handle off my toothbrush to save weight and space in my pack! But with kids, we require an entire SUV, and now a cargo carrier. Anyway, I also rigged a place in the garage to hang the carrier when it's not being used. After my haircut, I spent the day removing grout from our master bathroom shower with Chris Isaak, King's X, and The Beat keeping me company (apparently I was in an '80s kind of mood). Removing grout is a tedious and tiring job. But now it's done and I just need to re-grout it. I wrapped up at about 5PM, then took a shower. For dinner, I grilled some ribeyes. Overshot the cooking time a little (medium rather than medium-rare), but they were still quite tasty. 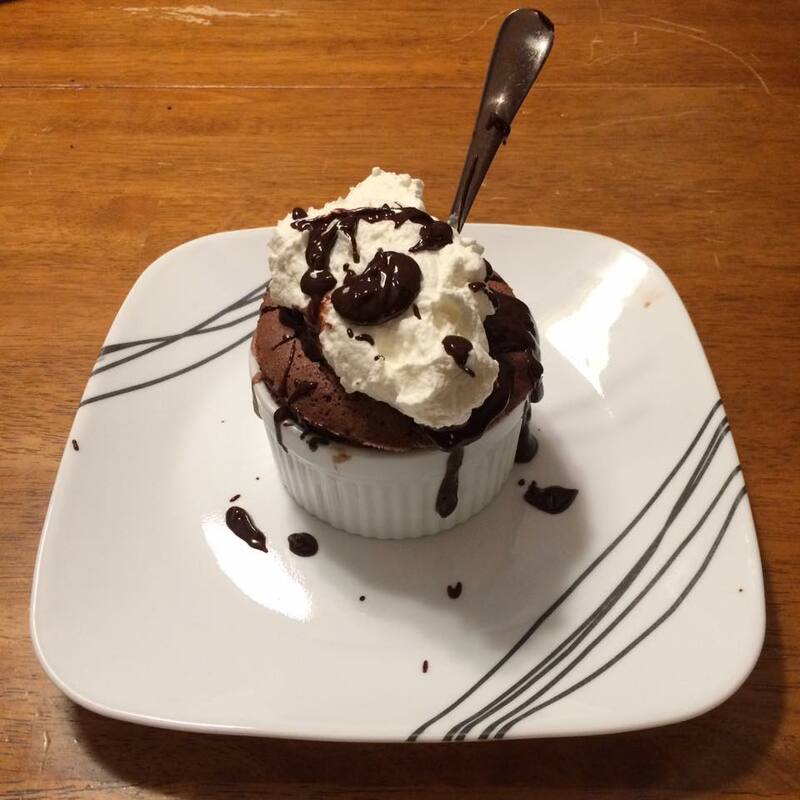 The wife (God bless her) made chocolate soufflés for dessert. Small-ball Father's Days are the best.